The students of Assam Women’s University (AWU), Jorhat, protested in front of the Jorhat Deputy Commissioner’s (DC) office on the occasion of International Women’s Day. The long suffering students of AWU protested against the apparent sidelining of the University’s name during the budget session of the government. The student gheraoed the DC’s office demanding immediate appointment of a permanent Vice Chancellor (VC) and development of basic infrastructure in the varsity. “We have been protesting for our basic rights since 2016, but the government has been turning a blind eye to our problem ever since.” Geemoni Mishra, assistant general secretary of the students’ forum of the university said in a statement to the media. 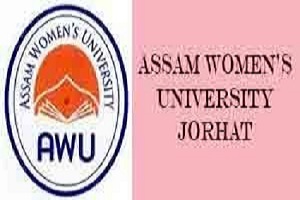 The Vice Chancellor of Assam Agricultural University (AAU) has been functioning as the mentor and the registrar of AAU has also been functioning as the registrar of the Women’s University. It also lacks an education council and an advisory board. The name of the University also is not included in the list of universities under section 12 (B)-UGC. There is no students’ union and convocation for graduating students is also not held. The Assam Women’s University was established by the government under an act XXII of 2013 of the State legislature of Assam and as a state university also in 2013. It is also empowered to award degrees as specified by the UGC under section 22 of the UGC act of 1956. There are more than 700 students belonging to 15 departments in the University. Of late, reports have also emerged of converting the university into a technical institution which has further added to the woes of the students regarding their uncertain future. The University was developed along the lines of SNDT Women’s University, which is the first Women’s University in the country. AWU also like its counterpart in Mumbai is the first Women’s University in eastern India.